A hilly patchwork of 18 neighborhoods, the North Side is a destination for sports fans, art lovers and everyone in between. The North Side is made up of many distinct and varied neighborhoods. You can find data on individual neighborhoods using Niche. 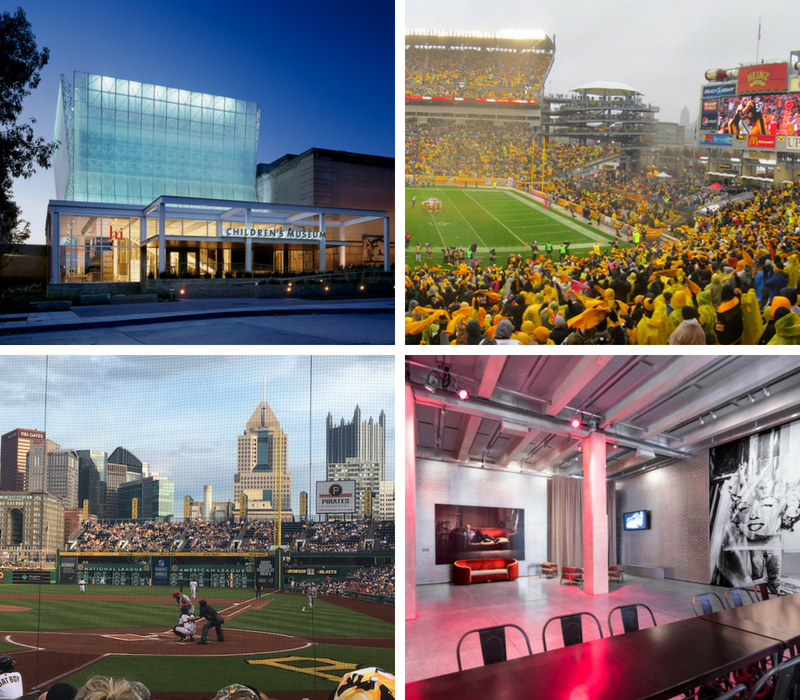 The North Side is home to both Heinz Field and PNC Park, making it a huge draw for sports fans nearly year-round. If you’re not into sports, go for the concerts or simply to admire the incredible views. Or there’s always Rib Fest. There’s no shortage of art on the North Side. The Andy Warhol Museum features the work of the famous Pittsburgh-born artist, as well as work by other artists, film screenings, concerts and more. At the Mattress Factory, you’ll find a range of contemporary art and unique, site-specific installations by artists from around the world. And there’s Randyland, artist Randy Gilson’s home and Pittsburgh’s most vibrant piece of public art. If you’ve got kids (or even if you don’t), head to the Carnegie Science Center and the Children’s Museum of Pittsburgh, two incredible buildings filled with interactive, educational exhibits. Also check out the National Aviary, the country’s only independent indoor nonprofit zoo dedicated exclusively to birds. For a more unconventional museum, try Bicycle Heaven. Part bike shop, part vintage bicycle museum, Bicycle Heaven lives up to its name. 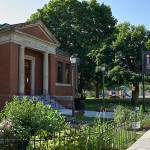 For entertainment, visit the New Hazlett Theater, which presents a range of plays, music and other live performances in an intimate black box space. For big rock concerts, there’s the indoor/outdoor Stage AE. For smaller jazz and blues sets, try James Street Gastropub and Speakeasy. On Wednesday nights, head to the North Side Elks Lodge to sit in on the Pittsburgh Banjo Club’s wildly popular open rehearsals. Opened in 2009, Rivers Casino boasts nearly 3,000 slot machines, over 100 table games and five restaurants. The North Side offers a variety of dining options, from authentic German fare at Max’s Allegheny Tavern to zippy noodles and curries at Nicky’s Thai Kitchen to tender ribs at Wilson’s Bar-B-Q. Our readers also rave about Federal Galley, El Burro Comedor, Allegheny City Brewing, Threadbare Cider House and Kaffeehouse. And in the warmer months, grab an ice ball at Gus and Yia Yia’s iconic cart in West Park. For locally made beer, grab a pint at Rivertowne or Penn Brewery, one of the area’s oldest craft brewers. If you prefer cocktails, swing by Wigle Whiskey’s Barrelhouse & Whiskey Garden for one of their unique local libations. Speaking of West Park, be sure to check out all the green space on the North Side. The 287-acre Riverview Park, which includes miles of wooded trails and the historic Allegheny Observatory, is especially striking. And hop on the Three Rivers Heritage Trail for a pleasant ride along the Allegheny River. The North Side is full of impressive architecture. History buffs will want to take a walk through the beautiful Mexican War Streets or stop to admire the Victorian houses in Deutschtown—both neighborhoods are listed on the National Register of Historic Places. Nestled on North Charles Street is The Pittsburgh Project, a nonprofit community development organization that has worked to help Pittsburgh residents for nearly 30 years. Their facilities include classrooms, a guesthouse, a café and more. “Tribute to Children,” the bronze statue of Mr. Rogers that sits near Heinz Field, is nearly 11 feet tall and weighs over 7,000 pounds. Artist Mary Cassatt, dancer/choreographer Martha Graham and writer Gertrude Stein were all born on the North Side. Heinz Field played a starring role in 2012’s The Dark Knight Rises, where served as the home field for the Gotham Rogues. PNC Park has popped up in a few movies as well, including Abduction and Jack Reacher. For many years, the North Side was not part of Pittsburgh. Allegheny City, as it was called, was its own municipality until 1907, when it was annexed by Pittsburgh. The annexation was ordered by the U.S. Supreme Court and was widely opposed by residents of Allegheny City.